Social Security Disability attorney Nancy Mizerak represents disabled claimants in their appeals to the Office of Disability Adjudication and Review. We chatted with her about veterans disability and why the appeals process is forcing some vets to wait years for care and compensation. Veterans disability is a monthly, tax-free income for veterans who are at least 10 percent disabled. This disability must have occurred or been aggravated by active duty, active duty for training or inactive duty training. The disability may be physical or mental. 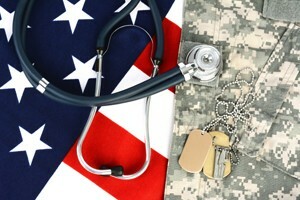 VA determines the severity of a veteran’s disability based on the veteran’s claim and/or military records. Percentages range from 0 percent to 100 percent, in 10 percent increments (e.g. 50 percent, 60 percent, 70 percent). If a veteran has multiple disabilities, the VA uses a complex combined ratings table. In certain instances, veterans may be paid additional amounts if they have a very severe disability or loss of limb; they have a spouse, children or dependent parent; and/or they have a seriously disabled spouse. What are some problems with the current appeals process? The ratings system is obviously not ideal. What’s happening is that the VA is trying to push through a large number of claims quickly, not giving the proper attention to detail needed for each individual claim. So veterans decide to appeal the claim, which is then sent back to a lower office for further investigation, clogging the lower office with additional work, taking more time away from attention to new claims. Today, more than half of all VA disability appeal cases are sent back for another review, sometimes more than once, the Veterans Affairs Department admitted earlier this year. In January, almost 300,000 veterans were waiting for an appeal decision, and the average wait time was more than three years. During the wait, veterans do not receive any benefits. While there has been talk to reform the process, which some refer to as the “hamster wheel,” no decisions have been made as of yet. Is there any way to speed up the appeals process? There is, of which many people are not aware. Veterans may authorize a representative, such as myself, to guide the appeal process. I can ensure all relevant laws and regulations are applied to an appeal the first time, so veterans receive satisfactory results right away and do not have to go through the appeals process a second or third time. Such a lengthy process can be frustrating, confusing and costly as medical bills pile up. If you or someone you know is interested in making an appeal or have already begun the process, I can help. Request a free consultation for the Results You Deserve®.